We know that for many having Hot Bachata Nights once a month may be frustrating (especially if you miss the event), but check out some of our favorite Bachata Events in the Bay Area and Sacramento Area! We will do our best to update and feature regular as well as specialty Bachata events by Dance Company's and more! If you are ever curious or want more info about an event, click the image and be directed to the contact point, or send us a message! 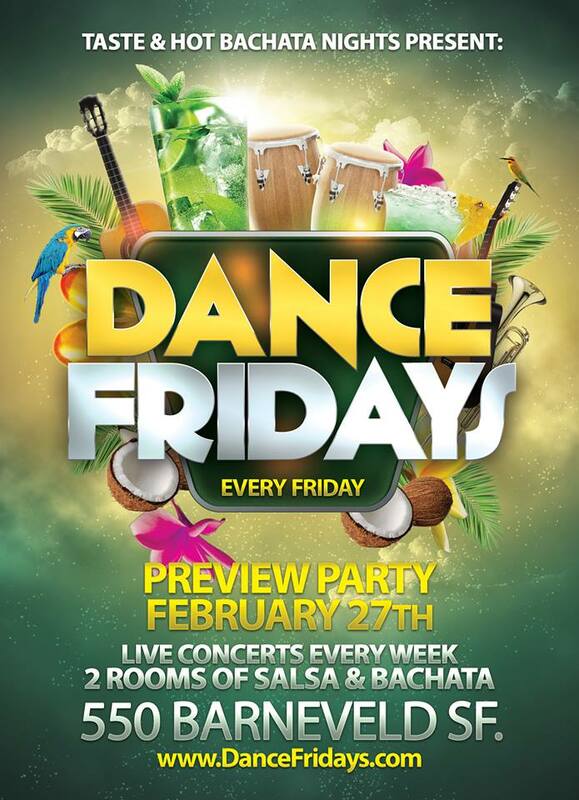 DANCE FRIDAYS is in San Francisco to learn how to dance Bachata and Salsa (8pm Classes Start), see live Latin music concerts, and party until 2:30 in the morning! This event features up to 3 rooms (Depending on the Friday of the Month) specializing in Salsa, Bachata, Kizomba/Zouk. 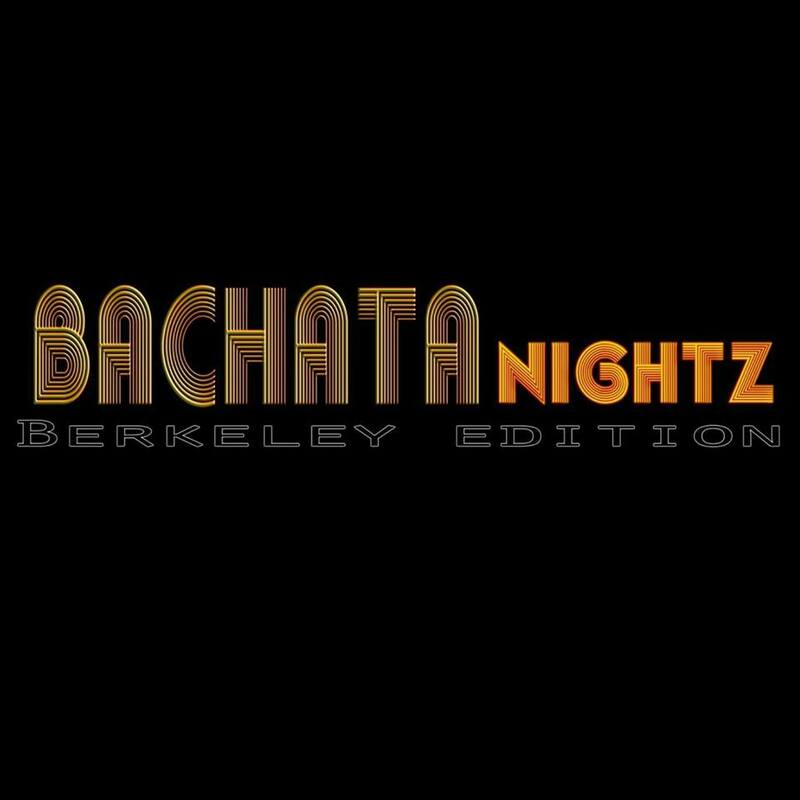 BACHATANightz is a ONCE a MONTH dance social in Berkeley (FIRST THURSDAYS). Offering an open level Bachata lesson at 8:30 followed by Social Dancing. This event features DJ MigZ who plays Bachata with a mix of light Salsa and more! DANCE FRIDAYS is in San Francisco to learn how to dance Bachata and Salsa (8pm Classes Start) and party until 2 in the morning! This event features up to 3 rooms (Depending on the Friday of the Month) specializing in Salsa, Bachata, Kizomba/Zouk. Valentino Presents with Jhonatan & Daniela Productions of Bachata Takeover bring you a new Monthly Bachata event every Third Thursday of the month in Club 21. The Bella Dance Weekender taking place right here in the Bay Area! Hot Bachata Nights and DJ MigZ will be hosting the bachata room at the SF Salsa Festival on Saturday March 30th! Message us to receive a discounted ticket for the festival or just for the night!